To make the green eggs, use boiled eggs. Cut the boiled eggs in half and scoop out the yellow yolk. 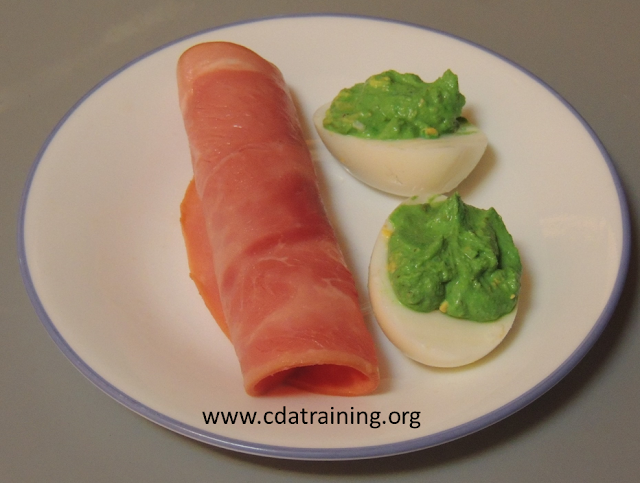 Mix the yellow yolk with green food coloring, greek yogurt, and your favorite mustard to consistency that you like. Add your new green yolk mixture to the inside of the egg white. Yum!